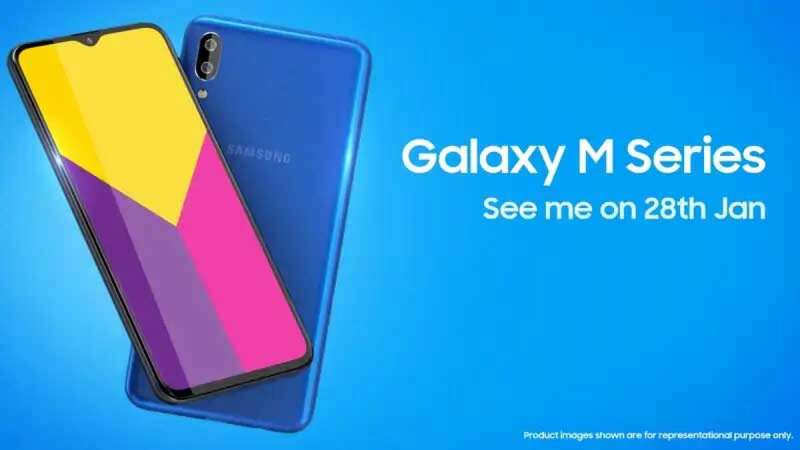 New Delhi : Samsung Galaxy M10 and Galaxy M20 will be unveiled in India today to make the first impressions of the much anticipated 'Galaxy M' series. The new 'India-first' smartphones are targeted a 'young millennials', the South Korean electronics giant claims, with 'powerful' batteries, cameras, displays, and processors. There have been reports revealing features and prices of the smartphones based on various leaks. The unveiling of the two smartphones under Samsung's latest Galaxy M series is likely at 6PM IST. The company has activated 'Notify Me' option on the Amazon India website and its own online retail outlet. The new smartphones will go one sale from February 5 this year. The company had earlier revealed that these will be India-first smartphones. If reports are to be believed then The Samsung Galaxy M10 price in India is said to start from Rs. 7,990 for its 2GB RAM/ 16GB storage model, going up to Rs. 8,990 for the 3GB/ 32GB model, as per a report by IANS, which cites 'reliable industry sources'. The Galaxy M20 price in India is said to start at Rs. 10,990 for the 3GB/ 32GB model, while the 4GB/ 64GB model is said to cost Rs. 12,990. Both the devices will be running on Android 8.1 Oreo.